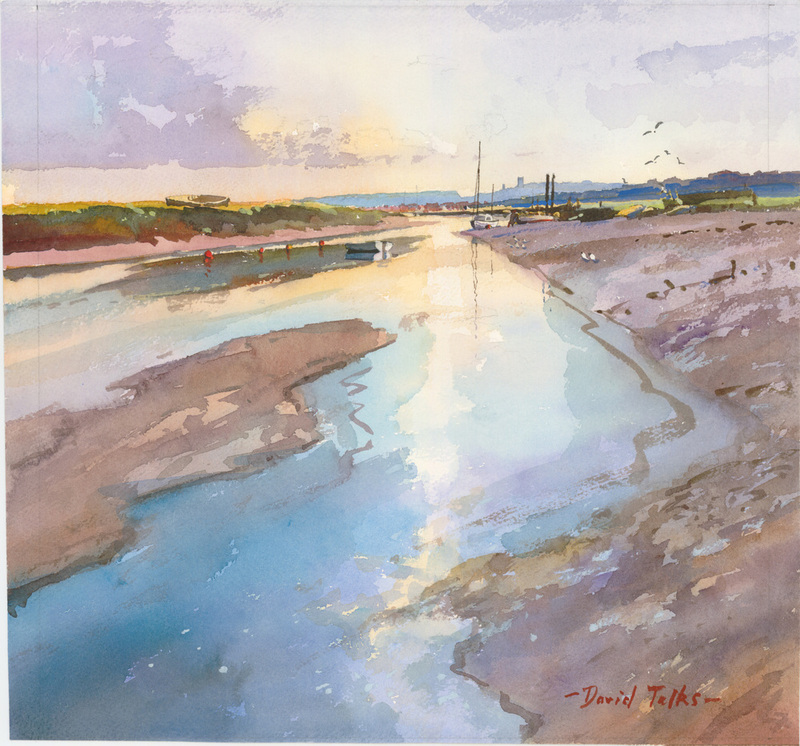 Self-taught artist David Talks lives in Norwich and turned to painting professionally in 1988. He has painted widely in France, Italy and The Far East, though his first love has always been painting on the Norfolk and Suffolk coast. He has exhibited with the Royal Institute of Painters in Watercolour, Royal Society of Marine Artists, and with Thompson's Galleries, London and Aldeburgh, together with Mandell's Gallery, Norwich. From 1998 - 2008 he held annual one man shows at the Galeries Lespinasse in Rouen, whilst also arranging exhibitions for the East Anglian artists in Rouen and for Rouen artists in Norwich as part of the Norwich-Rouen twinning link. 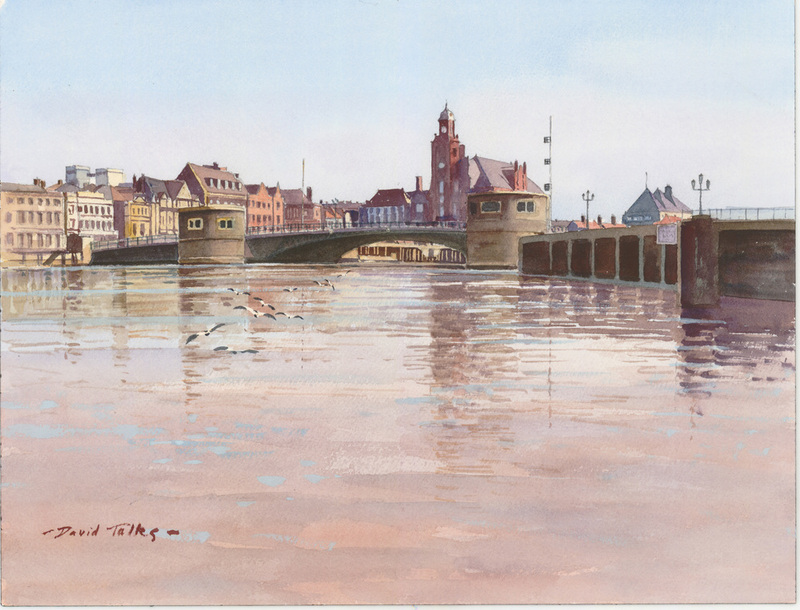 He is a past President of the Rugby and District Art Society, a former Chairman and President of the Norfolk Art Circle and a past member of the Coventry and Warwickshire Society of Artsists. Having been educated at Mercer's School London and Oxford University he went on to do his National Service in the Royal Navy, continuing for many years in the Royal Navy Reserve as a Russian interpreter. He began painting in watercolour while teaching French and Russian at Gresham's School, Holt and then at Rugby School.